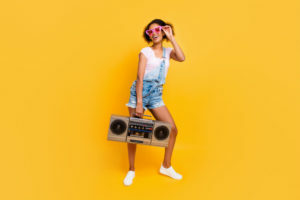 It really comes as no surprise that the era of classic boomboxes is back with a bang! In fact, you can easily find a variety of models all over the market, so much that it’s becoming increasingly difficult to choose the right type, size and feature-packed product that matches your persona. 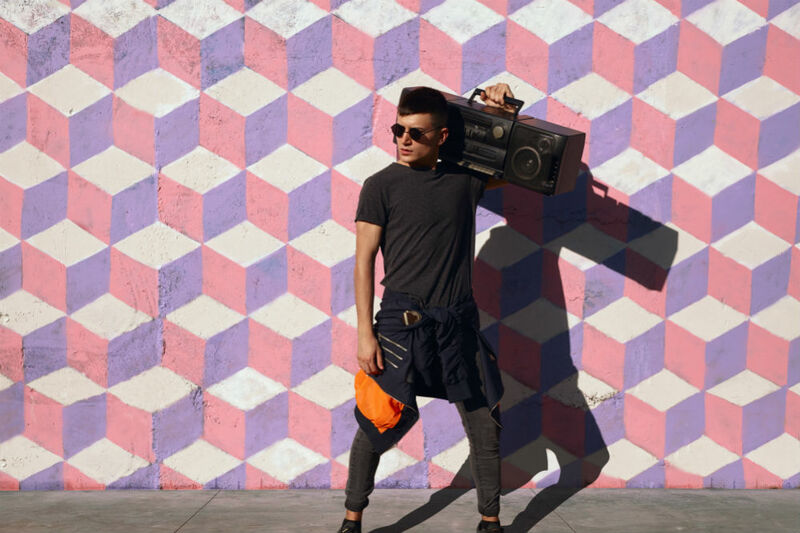 For decades boomboxes have been loved due to their ease of use, portability, and class. With the latest advancements in technology, manufacturers are now coming up with amazing modern designs, giving them a classic yet chic look. 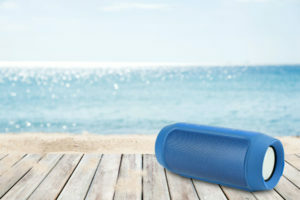 They have also now become a great gadget for enjoying quality upbeat music on the go. When it comes to the popular options available, the Toshiba TY-CRS9 is amongst the timeless pieces that are said to be a worthy purchase not just because of its brand but also due to its amazing features. 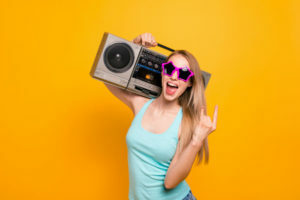 Hence, in this article, we have put together the facts you need to know about this boombox, including a comparison with another top-selling brand which will further clarify things for you. Manufactured by Toshiba, a known name in the electronics industry, this can definitely be considered a quality product. That is because from industrial equipment, right down to the home appliances, Toshiba has a wide range of products sold that are loved all over the world. With that in mind, let’s start by discussing the key features, pros, and cons of the Toshiba TY-CRS9 to see if the brand really says it all. One of the highlights of the Toshiba TY-CRS9 is its LCD panel. Whether it’s bright daylight or the middle of the night, you can easily find the controls and use the boombox without the need to turn the lights on. Its superb design, traditional style, and quality construction also make it an excellent choice as a portable top-load CD player. If that doesn’t trigger your senses, there’s more: a sleek speaker grill that compliments the whole look of the system. Additionally, you don’t need to plug it to charge it. 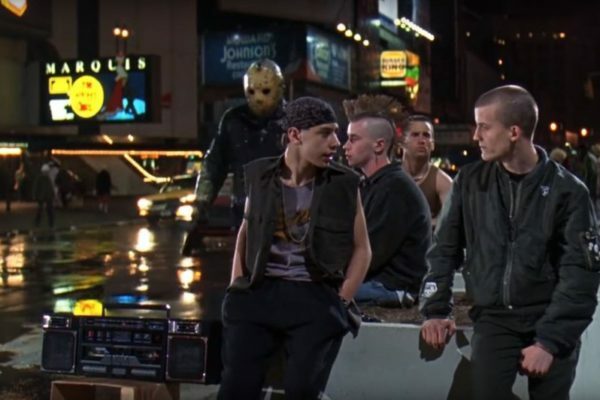 You actually just need six UM-2/C batteries, and the boombox is all set to go. Nonetheless, it also comes with a power cord so that you can plug it in an electrical socket. 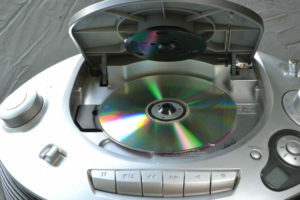 It plays all types of CDs that include CD-R and CD-RW. Also, keep in mind that this is not just your regular CD player since it also has FM and AM radio tuning capabilities. In addition, a 3.5 MM Auxiliary audio input jack is incorporated so that you can connect your smartphone easily and listen to your favorite songs. If you want privacy, you can also plug headphones or earphones into it. This has a dimension of 4.9 x 9.4 x 8.8 inches, a weight of 2.5 pounds, and a power output of 1.2 Watt x two RMS. It also has a handle on top and a telescopic antenna. 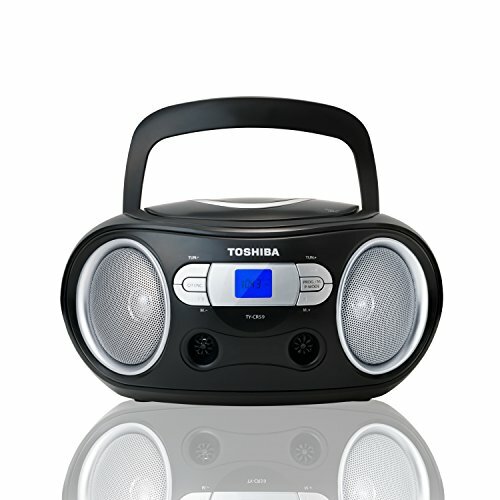 The Toshiba TY-CRS9 Portable CD Boombox is a durable and compact CD player that you can take with you wherever you go. Whether you are traveling, spending a day up in your room or taking a walk in the park, it doesn’t just look appealing, but also adds to your style. Thanks to its speaker grills and smooth exterior. This head turner comes complete with the FM and AM tuner options and can play CD-Rs and CD-RWs as well as your music playlist on your phone. It also has an LCD screen that is easy to read because of its blue backlight. 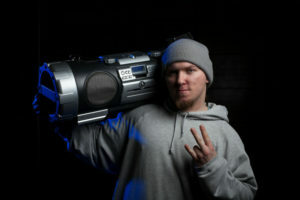 However, with this boombox, you won’t be able to play MP3 songs. Likewise, you won’t be able to play songs on a USB or SD card. Nonetheless, this product is lightweight and can be used with headsets or earphones. 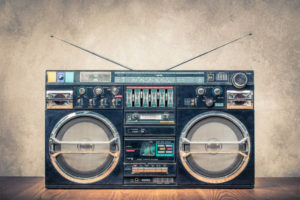 With the return of the classics, many other well-known manufacturers kept pace and introduced their own versions of the boombox, and one of which is the Sony ZSRS60BT CD Boombox. This product has some similarities with the Toshiba TY-CRS9. One is that it also has a top-load CD player and a front LCD screen. It also comes in black color and has a top handle for you to carry it comfortably. Additionally, this does not require any charging as it can be powered with six batteries. You can also listen to music privately since it has a jack for headsets or earphones. 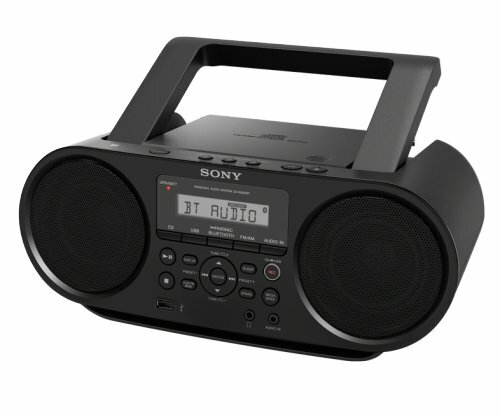 Another similarity is that the Sony ZSRS60BT CD Boombox also has AM-FM radio tuning capabilities. It can also connect to your smartphone or tablet with the help of NFC and Bluetooth technology. This is a feature that makes it more modern than the one from Toshiba. However, the connection is too slow and often at times, the connection just breaks off in the midst of transfers. 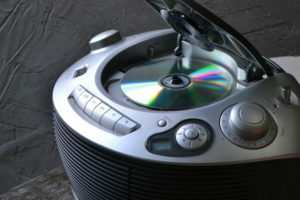 Nevertheless, this product has a USB port and can play songs that have an MP3 format. The problem with this specific model though is that it has a lot of buttons that make it quite complicated to use. Also, this does not have clear AM-FM receptions. 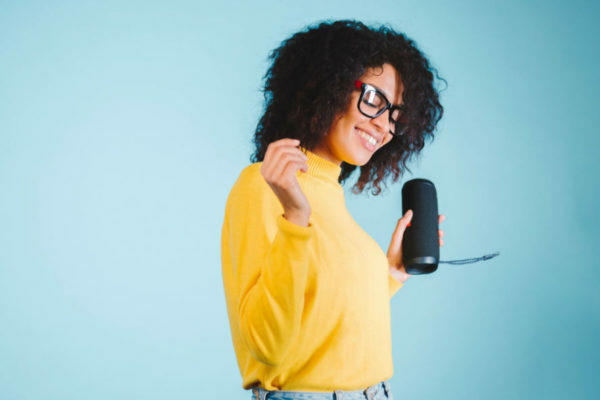 You must also remember that the first thing to look for when buying a boombox or rather every other gadget these days is portability. The Sony ZSRS60BT weighs about 5.6 pounds and has a dimension of 13.8 x 6 x 9.3 inches; that’s almost twice the size and weight of the Toshiba TY-CRS9. About the style, Sony stuck with the contemporary and classic appeal, whereas Toshiba gave it a unique combination of the classical and the modern era. To sum it up, the Toshiba TY-CRS9 is a great CD player and FM-AM radio tuner that gives you the liberty to listen to your favorite songs anywhere you go. From the construction, design, quality and powerful sound, everything about the product is a thumbs-up. So if you are thinking of getting your music-lover buddy, child, partner, relative, or parent a gift they’ll cherish for a long time, the Toshiba TY-CRS9 is a superb choice.